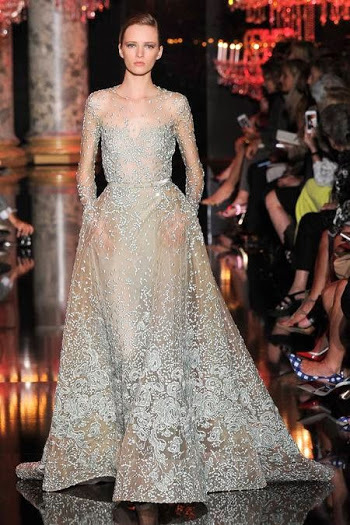 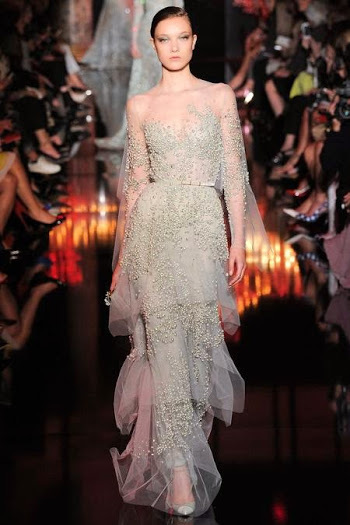 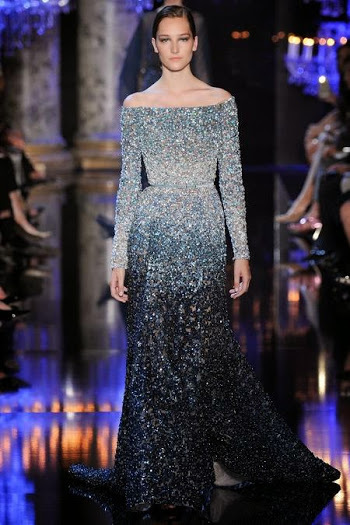 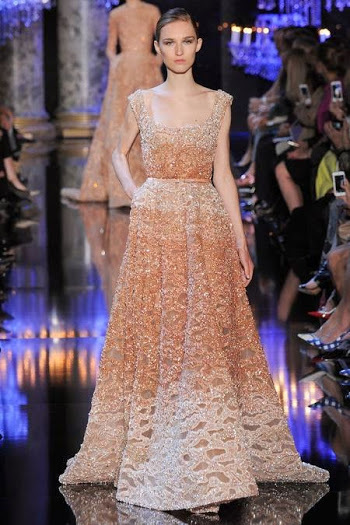 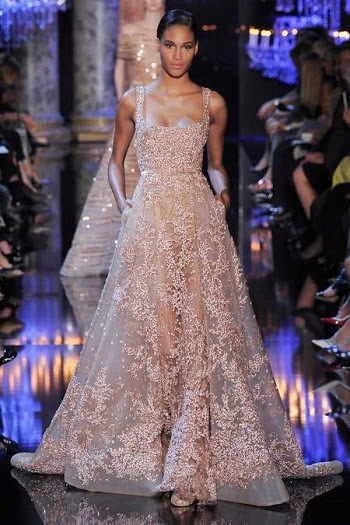 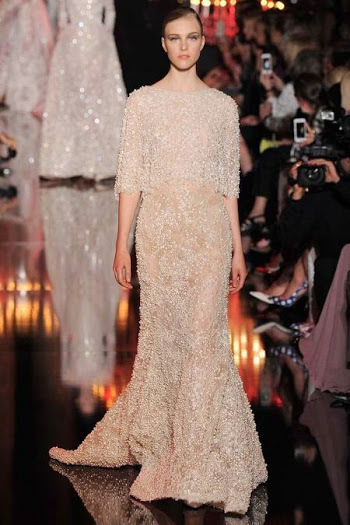 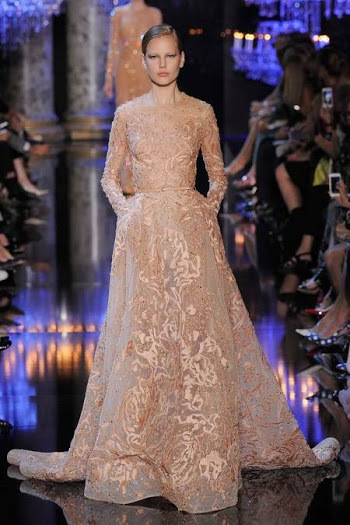 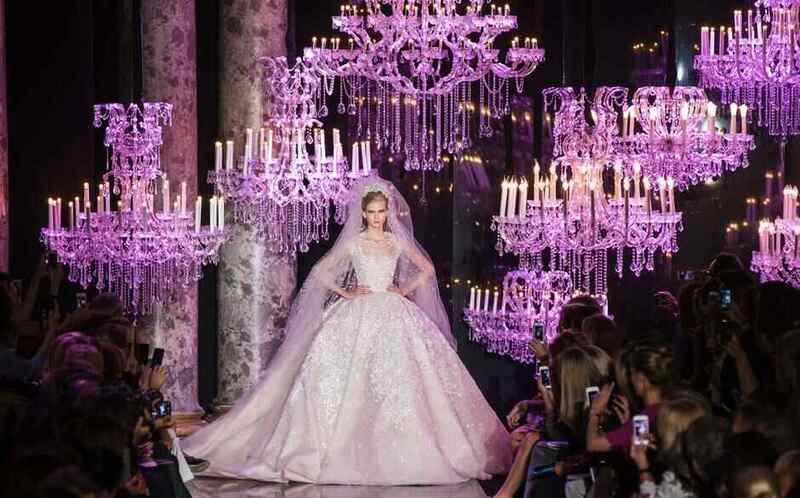 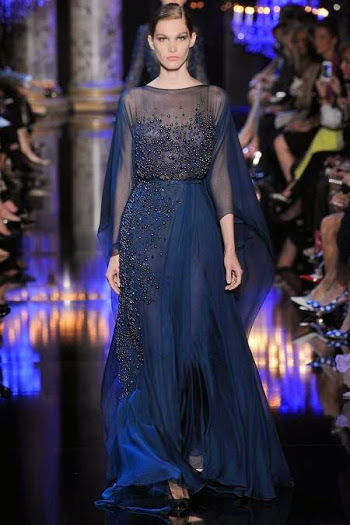 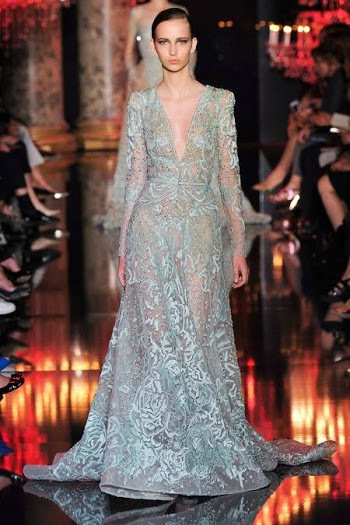 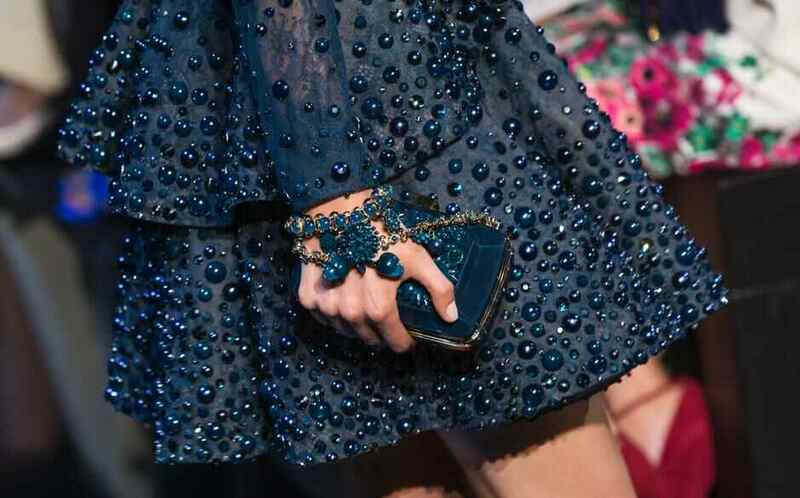 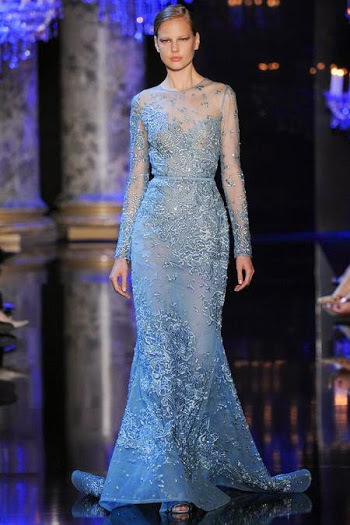 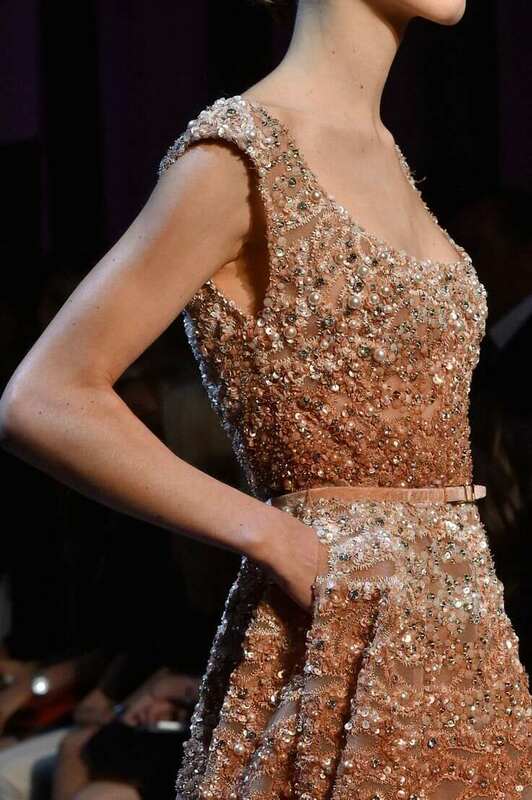 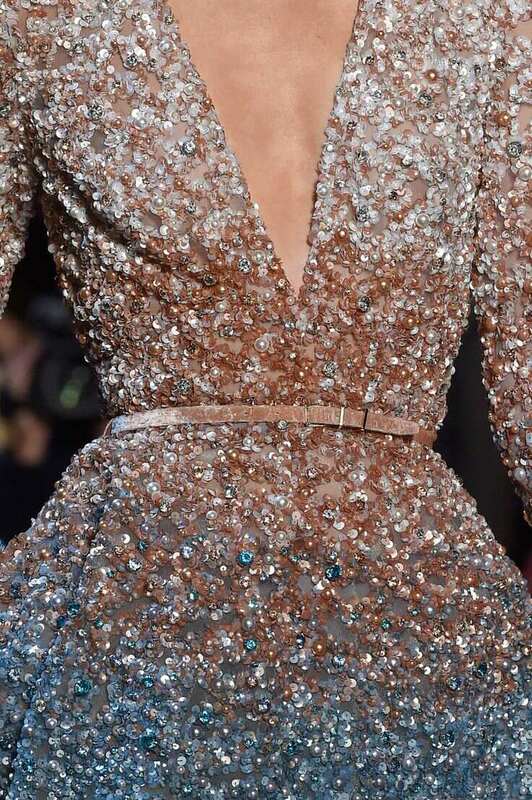 As always, Elie Saab's couture collection for Fall-Winter 2014 is making me swoon! 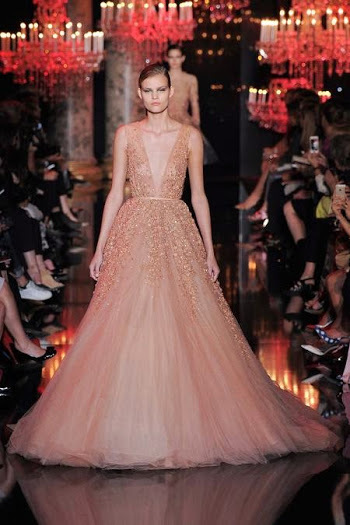 Beautiful gown after beautiful gown... shimmering beading... gorgeous colours... ombre effects... glamorous silhouettes. 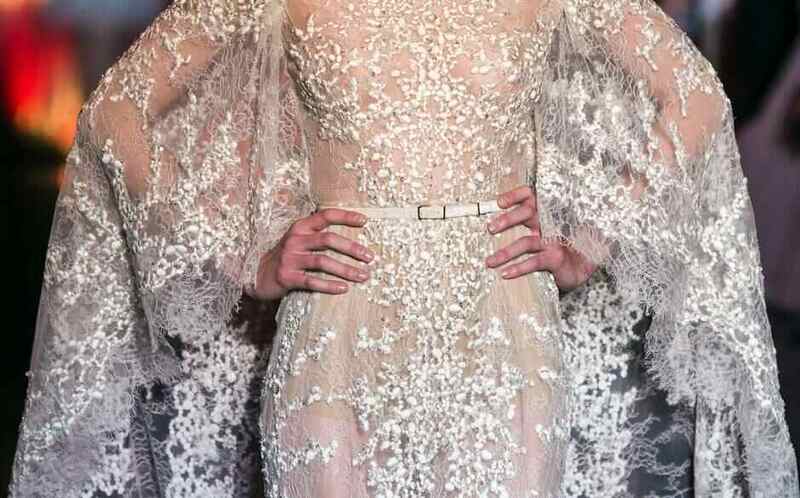 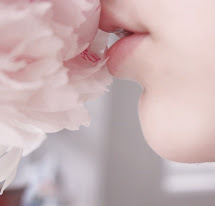 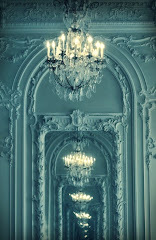 This collection is heavenly!